Needless to say, I am so excited. 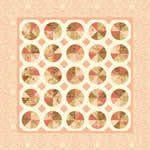 I get a bundle of fat quarters and a pack of patterns all designed by Fig Tree Quilts. Yay! Free quilting supplies! I never win anything. I can't believe it! Oh yeah, a new contest has started for November with a Christmas theme. The quilt design program is really fun to play around with, but can be a little addicting. You should try it! Yeah! That is way too cool! I am so happy for you. I am going to go check out your beautiful quilt! Way to go! Ambs! Way to go! That is so great! I didn't know that you had even entered a contest (and by the way, you do win things...doesn't Robert's crafts ring a bell? ), ha, ha. Anyway, I'm so happy for you. I'm sure you worked hard. I can't click on the picture to make it big though...maybe I'll go to the other link to see them better. Congrats and Yay! WOW! I have to say, I'm not surprised, you are amazing! Congratulations, that has to feel so good! Congrats Amber, you go girl! Great job, Ambs! That is really neat that you seek out challenges the way that you do. Can't wait to check em' out! Nice work AMBS!!! that is a cool site! I bet your so excited to get your fat quarters! I know I would be checking the mail everyday. I hope to start Kathy's quilt this weekend, I'll be in touch I'm sure :) YEAH!!! good job! Congratulations, Amber!! I am not surprised, though. You are more talented than you realize and I LOVE your quilt design. Makes me want to start sewing! !